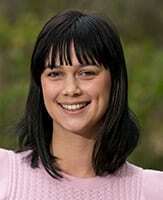 Dr Bartlem is a Research Fellow with the University of Newcastle. Her research interests include understanding and addressing the physical health disparities experienced by people who have a mental illness. She has a particular interest in trialling interventions to reduce chronic disease risks among this population that are suitable for large scale dissemination and implementation, as well as trialling strategies to facilitate the translation of evidence-based policies and practices into mental health services. Her current work involves trialling models to integrate physical health care into mental health services. Read more about Dr Bartlem’s work.